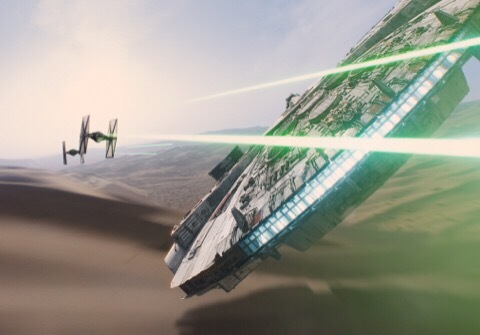 When I reviewed Star Wars: The Force Awakens (HERE), I wrote about it right after seeing it and before having time to fully process it. I didn’t want to put a rating on it right away & I didn’t want to go overboard on raving about how much I loved it just in case I was still too high on the feeling of having seen a new STAR WARS MOVIE!!!! I’m a huge fan of the original trilogy and I can’t see ever loving one of the new films quite as much but The Force Awakens came very close. I knew immediately that I loved it, even though I tried to hold back a bit when first writing about it. With The Last Jedi, it’s a bit different. I’m again writing this too soon after seeing it, which I don’t really like to do as I like to think about a film first. However, this time I’m not worried about going overboard raving about my love of the movie. This time, I’m afraid of being too harsh. This time, I don’t immediately love the movie. At least, I don’t think I do. I hate to make a statement like that so soon as maybe I’ll change my mind. I hope I change my mind. Don’t worry – this isn’t like the prequels. This is a good film. I think the problem, for me, is that it isn’t much like Star Wars. I didn’t feel that way about The Force Awakens. That film instantly felt like a part of the Star Wars universe. I love Rey & Finn & BB-8 and it didn’t take long at all for me to accept them as a part of that world. I don’t feel that way about any of the new characters introduced in The Last Jedi. In fact, I thought there were too many new additions and it took time away from further developing existing characters that I actually care about. Okay – let’s do this a different way otherwise I’ll just ramble on incoherently. As I’m still processing the film, I’ll try to separate my thoughts out into the good stuff & the not-so-good stuff. Several Great Moments Linking To The Original Trilogy. Well, this is tough to talk about in any sort of way as I have to stay completely spoiler-free. I mean, I’m not Holly Willoughby (yeah, she spoiled something major live on TV. you can see a clip here if you really want a big spoiler. luckily, I don’t watch TV). There are a few really good moments involving original trilogy characters and those moments made me feel all warm & fuzzy. And I guess that’s all I can say. Let’s discuss this movie like crazy in the comments, though! My comment section can be a spoiler zone! Again Seeing Characters I Know & Love. Obviously. 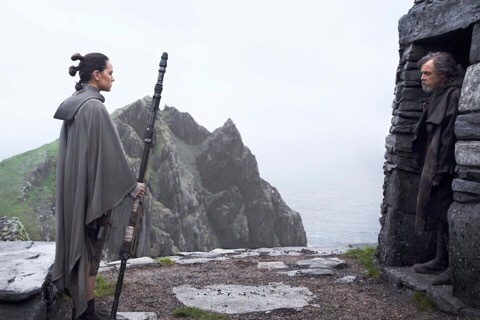 How awesome to see Luke doing much more than just standing there & staring at Rey. And Mark Hamill does a fantastic job, by the way. Loved him! 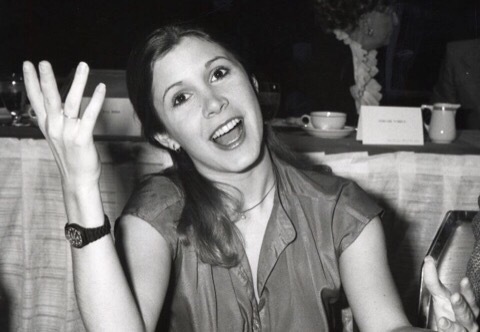 And Leia… I’ll forever be heartbroken about Carrie Fisher and hate knowing she can’t be in the final film. Luckily, she does have plenty to do in this one compared to the last one. R2-D2 (my personal favorite), C-3PO, Chewbacca… I adore these characters. I grew up with them. I’ll always love seeing them up on screen. And, of course, it was great to see Rey & Kylo Ren develop much more (especially Kylo, as he came across as a slightly whiny emo kid last time). 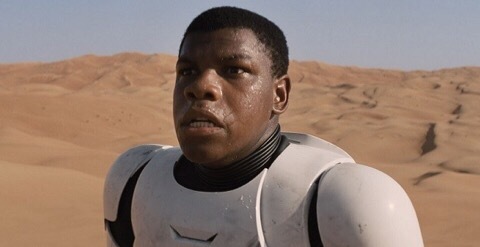 Finn has a lot to do but I felt he was quite wasted and far preferred his storyline in The Force Awakens. Poe also has a much bigger role this time but I don’t really feel much of a connection with him. And BB-8 rules. I do care about these Force Awakens characters, even though it’ll never be quite as much as I care about the original trilogy characters. Unfortunately, I can’t say I care about any of the new characters in The Last Jedi (more about that later). Porgs. They’re utterly & completely pointless. The New Characters. Oh man. After the fantastic job they did with the introduction of new characters in The Force Awakens, I really was expecting to walk away from this one with at least a couple of new favorites. The best new addition is probably Rose. 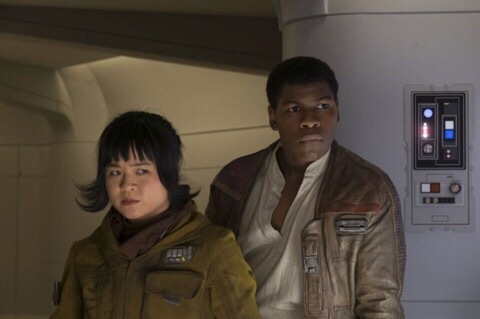 I liked her & Kelly Marie Tran did well in the role but it’s far too big of a part. We already have our main characters. 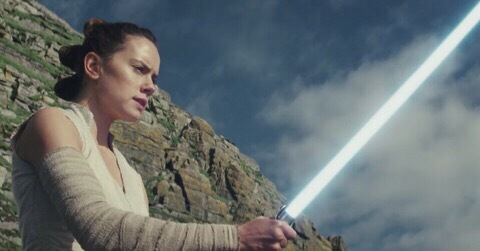 I think this wasn’t helped by the fact that her storyline dragged a little and, by having so much time devoted to it, it was taking time away from characters we already know and want to see much more of than we do (I’ll get to this later – don’t expect to see very much of the “lesser” original trilogy characters in this). Laura Dern also does a good job, but… Why should I care about this character who has come from out of nowhere? There are other characters around Leia who we already know & who I’d have rather seen given more authority & screen time. Benicio del Toro was very Benicio del Toro. Meh. Not Enough Of The Original Trilogy Characters. Maybe a tiny spoiler but don’t expect to see much of R2-D2, C-3PO or Chewbacca. I’m extremely disappointed with how little screen time they got. Some Of The Comedy. I love the small bits of comedy in the Star Wars original trilogy & in The Force Awakens. There’s even more in this, which was unexpected as it’s a dark film but wasn’t totally unwelcome. We need bits of comedy that are done well & they worked perfectly in the previous films. I got a few giggles from The Last Jedi but I have to agree with the hubby when he said that the humor in this one felt more like what we get in a Marvel movie. Okay, fine. I guess. But it didn’t feel like Star Wars humor. It just didn’t quite fit. Very Few Great Images. I’ve seen some comments already about how good this movie looks. I agree there’s some “pretty” imagery. The use of red works really well. But the whole film is so damn dark. And there weren’t really any moments where I thought “wow – that’s a great, artistic shot”. I can think of SO many images from the original trilogy that looked amazing and like something you’d hang up and frame as a work of art. I know not everyone cares about this sort of thing but it’s very important to me. It’s a big part of why I’m a weird girl who likes things like Leone’s Spaghetti Westerns. They’re gorgeous. I want to see art up on the big screen. This movie feels more focused on telling its (somewhat convoluted) story. The story is important, yes. But so is everything else. Check out this video the hubby sent me of “The Star Wars: Concept Trailer“, which shows what Star Wars would look like if all of Ralph McQuarrie’s concept art had been used. Can we please get these students to work on the next Star Wars film?? The Way It Feels Like The Original Trilogy Characters Are Being Cast Aside. I’m very happy that Luke & Leia are given loads of screen time in this. I don’t really have any complaints about how their characters were handled. 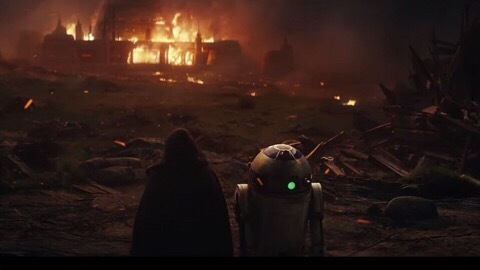 As I said, though, R2-D2, C-3PO, Chewbacca and some other characters I won’t mention (not sure what’s common knowledge when it comes to others) are truly cast aside in this film. It felt almost as though Rian Johnson wants rid of them & to focus more on all new characters. I know times are very different nowadays and people are demanding that things be new & constantly changed, but this is the most beloved film franchise. Do it justice. Don’t throw it away. 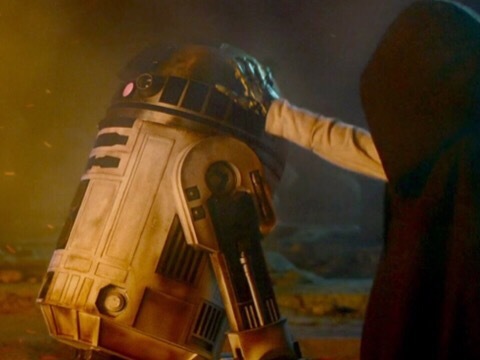 Did J.J. Abrams do too much “fan service” in The Force Awakens? Maybe. But this is Star Wars. The rules are a little different. Surely you can keep old as well as new fans happy. I Can’t See Where They’ll Go With The Next Film Or Why We Should Care. I also can’t say much about this in order to avoid spoilers. Let’s just say that I’m less excited about the next film now. I think it’s going to be too “different” for my own liking. 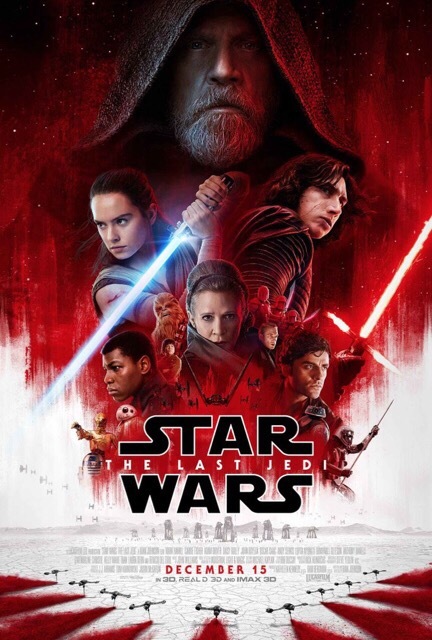 The hubby & I have discussed this movie quite a bit since seeing it (as much as I love it, he’s a far bigger Star Wars fan than I am) and I think we both feel similar in not yet knowing exactly what to think about it. It’s disappointing to not instantly love it. One thing he asked me is if I feel that these sequels are adding to the story in a way that feels right or if they’re starting to kind of ruin the magic of the original trilogy now. Okay – that’s not quite how he phrased it but it was something like that. 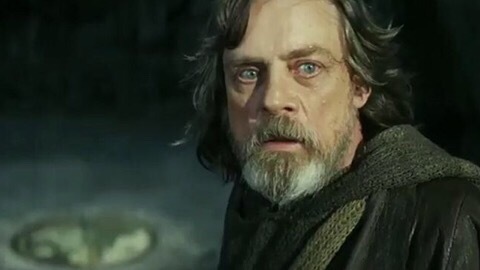 At this point in time, I can say that I thought The Force Awakens was taking my beloved Star Wars forward in a way that would do no harm to the original trilogy’s legacy. After seeing The Last Jedi, I’m not sure if I can make that same statement. I guess we’ll have to see where Episode IX takes us and just hope that it doesn’t damage something that so many of us love. Overall, at the moment, Star Wars: The Last Jedi has left me feeling a little bit cold. Which is heartbreaking. I’ll give it my initial rating, which I may think is a bit too low once I’ve watched the movie a second time. We’ll see (and maybe it will change depending on what I think of the next film & how it all ties in). But I can’t see my rating going up by more than half a point. Now let’s discuss this movie in the Comments! SPOILERS ALLOWED!!! I’m dying to discuss this. 🙂 Just try to still put a warning & a bit of a gap…. A continuation of the saga created by George Lucas and set thirty years after Star Wars: Episode VI – Return of the Jedi (1983). I saw this movie at midnight last night and I don’t normally like to review movies so soon after seeing them since I like to give things some thought first and to search my feelings. Naturally, I’m going to be on a massive high immediately after seeing a new STAR WARS movie! But when I think back to The Phantom Menace, it’s likely that I would have given that a good review if I’d written one 30 minutes after it finished. Can you imagine?! So bear with me as I try to be rational while I write this. I may actually re-visit this movie again in a week and do another post about it and see if my opinion has changed but, for now, these are the initial thoughts of a fairly big Star Wars fan. I’ll also give you my husband’s initial thoughts (he’s been a HUGE Star Wars fan his whole life) and my six-year-old daughter’s initial thoughts (she’s quite possibly the biggest six-year-old female Star Wars fan on the entire planet). I still can’t believe I’ve finally seen it! 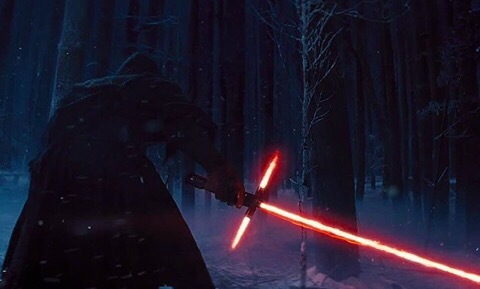 The Force Awakens. The movie my husband and daughter have been talking about (and slightly annoying me with) for what feels like YEARS. As with any huge movie like this, especially for myself and my husband and anyone else our age who grew up with the original trilogy, no Star Wars movie will ever live up to our high expectations. I personally don’t think it will ever be possible to again capture the magic of the original trilogy but I do know that a big part of that will also be my age talking. Can an adult really love a movie in the same way a kid can? When I think of all my favorite movies, the vast majority are from my childhood & teen years. Will my daughter feel the same way about The Force Awakens & the movies to follow as my husband & I feel about the original trilogy? I think that’s a definite yes. She already loves the Star Wars universe (she’s seen all but Revenge Of The Sith – she’s still too young) and she’s now the perfect age to grow up with the new movies. And I couldn’t be more happy that she’s the perfect age for these as they’ll be “her” Star Wars movies while the original trilogy will be “mommy’s & daddy’s” Star Wars movies. More importantly, she’ll see these as hers more than the prequels. Because…. Yes! 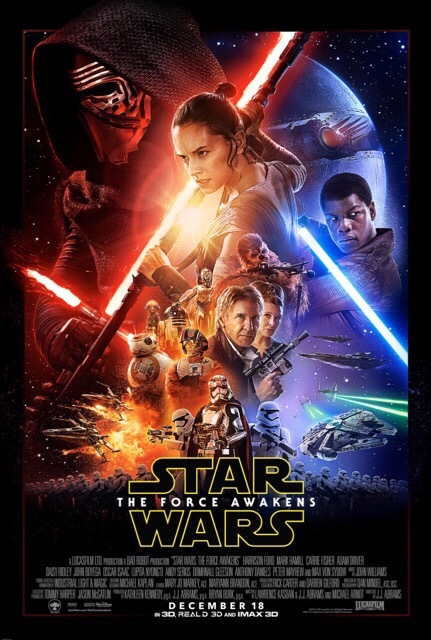 I can confirm that The Force Awakens is much better than the prequels! Thank goodness. I’ve really avoided all reviews of this so far as I wanted to know as little as possible so the only thing I’ve read a few times now is that The Force Awakens “captures the spirit” of the original trilogy. I’d say that’s a pretty accurate statement. I won’t pretend that it didn’t take a little getting used to or that it wasn’t a little odd seeing characters like Han Solo & Princess Leia all these years later. It’ll probably be easier for a new generation to immediately buy into this film as they won’t have quite as much of an attachment to these older characters but I have to say that they’ve done an absolutely fantastic job bringing a whole new set of characters to life. I already love Rey. I love that my daughter already loves Rey. Just like Leia, she’s a very strong female character. I’m loving the strong female characters in movies these past couple of years! About damn time. Sorry to regulars here who have heard me go on about this before but if you have a daughter, you’ll understand. 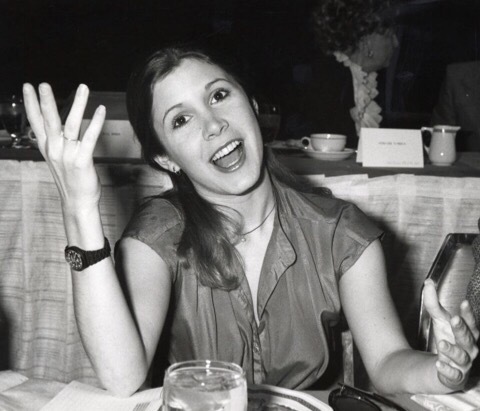 Positive female role models have become very important to me since she came along. After the prequels, I can’t say I personally really had any “favorite new Star Wars characters”. After The Force Awakens, I have lots of new favorites. Besides Rey, there was… Finn! I loved Finn! I wasn’t quite sure how his character would fit in but he’s great as were his relationships with the other characters. BB-8!!!! As I’ve said here before, R2-D2 is my favorite Star Wars character so I’m clearly partial to loveable droids. 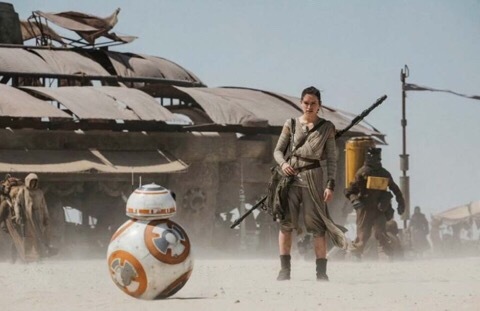 BB-8 is almost as cool as R2! (And that’s saying a lot because R2-D2 is the coolest robot ever). Poe Dameron! I’d not exactly loved Oscar Isaac in anything before this but I liked his character a lot – he very much feels like someone out of the original trilogy. Kylo Ren! Hmm. Yeah. Good. Yes. Still making my mind up on him… Sorry – I’ve only just finished the movie – my mind is still racing! I know people love a good baddie. Is he a good baddie? Yes, I’d say they’ve created a great character here (better than any baddies in the prequels for sure). There are some other new characters I also liked but they weren’t really in the trailers much so I’ll leave those out to remain spoiler-free. Then, of course, there were the original trilogy characters! Naturally, seeing them put a huge smile on my face but I really am impressed with how well they did with the new characters and making us care just as much about them as we did about our old favorites. 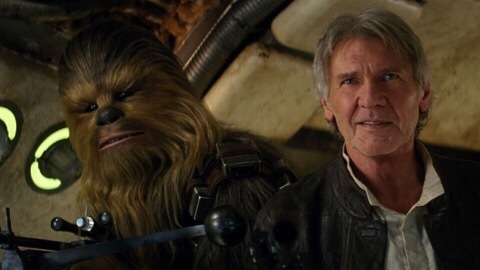 The characters, in my opinion, really are the absolute best thing about The Force Awakens. What else? Oh my god I need to sleep. I still have to work in the morning! 😉 Not only were the characters great but so was the dialogue and the banter and the way they interacted with each other. We got some funny, lighthearted moments. We didn’t get any of the horrible, cheesy dialogue like in the prequels (and, dare I say, the original trilogy a little bit?). The look of the film was good – it felt like it was still a part of the same universe as the original trilogy in a way that the prequels didn’t quite manage. The story, which I can obviously say nothing about, was good. Was it the best story possible of the myriad of stories they could’ve done? Hmm. I don’t know. But I did enjoy it and am happy with the end result. She liked the film a lot but it was pretty much a given that she would. I’m very happy that Rey lived up to her expectations and can tell you that Rey was definitely her favorite thing about the film (followed closely, I think, by adorable BB-8). She got upset a couple of times and the film is a bit dark but it’s still nowhere near as dark as Revenge Of The Sith, which I won’t be letting her watch until she’s much older. She declared the movie was a “9 out of 10!” as we left the cinema but then in the car said “I thought The Force Awakens would be better than it was” so figure that one out. Kids! So indecisive. 😉 I think the “dark bits” made her say that but I think she’ll end up loving the movie just fine once she gets more used to it. And I’d say that it’s Rey who very much made the film for her. Yay Rey! Where do I start? Well, it’s not “MY Star Wars” (and let’s face it, it truly never COULD be).. but it’s not far off. In one of the TV spots, you hear a character say they see the same eyes in different people if you live long enough. This episode HAS the eyes of the Star Wars that I grew up with. The magic, the soul, the used universe, the spirit, the humour, the dirt, the wonder, the hero’s journey, the oddities, the surprises AND the familiar are all there in droves. 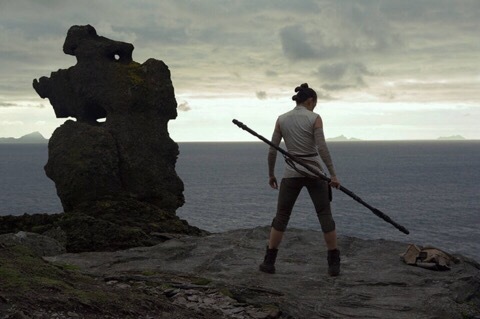 The best thing for me was to see a new Star Wars through the new eyes of our daughter, for whom THIS Star Wars will hold just as much magic as the original trilogy and better yet, will give her an important cinematic icon to relate to in Rey. 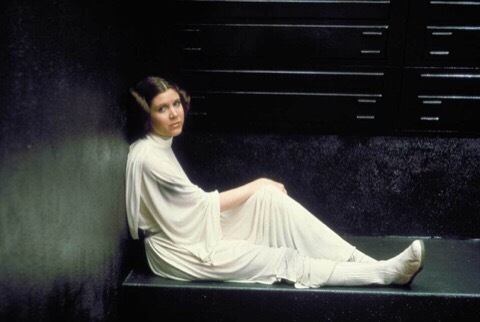 She and her generation will ensure Star Wars lives on without looking “so old to young eyes” thanks to JJ, KK and company and their careful balance of reverential echoes and imaginative new ideas. 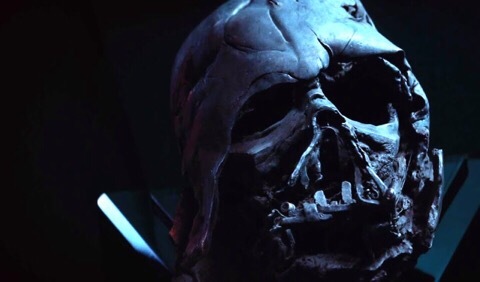 The balance between pleasing the OT generation and each new generation since has been achieved as much as it can be, given Hollywood marketing forces these days. But I will take that over the prequels’ fart jokes and Jar Jar in a heartbeat. Without making excuses for anyone, this DOES truly rekindle the magic for a new generation – and for most of the old. Star Wars is back. But of course, in our household Star Wars never went away… Star Wars is forever! I knew that my initial reaction to The Force Awakens was probably due to me needing more time to accept the film into the Star Wars universe that I love and know so well. I figured it would just be a case of me needing to see the new film a few more times but a second viewing was all that I needed: The Force Awakens IS Star Wars. 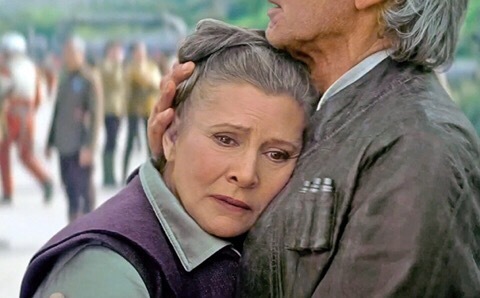 I care about new characters such as Rey & Finn as much as I did about Leia, Luke & Han. BB-8 is amazing and fits in perfectly with my most beloved and iconic pair of droids. I still think the “baddies” are a little weak in this (Snoke and especially Hux) but my opinion on Kylo Ren has gone up slightly on a second viewing. I’ve always liked the good guys more anyway and they’re perfect in The Force Awakens. More than anything, though, Rey really makes this film. I’m not saying that because I’m a girl – I just think Daisy Ridley is fantastic and, let’s be honest, out-acts everyone in all seven films. Oh, and I really like her theme within the score (which I wish I could say I noticed throughout the film much more than I did but her theme was the only new part of the score that really stood out for me). Any flaws this film has are really quite minor and more than made up for by just how strong the new characters are. I can now firmly say that I love this film and that it’s helped even further to make the prequels, which I rarely even gave a second thought when I thought of Star Wars anyway, a distant memory in my mind. 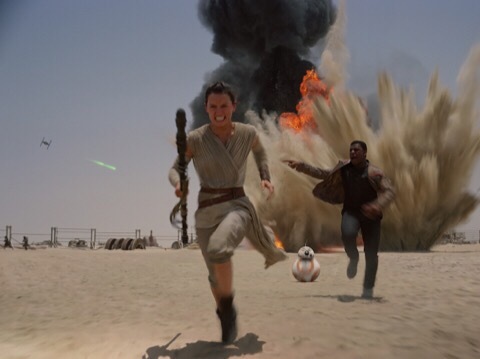 The Force Awakens is fantastic. I love it. To those who think the movie with go down in people’s estimations once the excitement has died down, I have to say that the opposite has occurred with me. I think some initial reactions have actually been overly critical. It will be interesting to see where it ranks in everyone’s mind once all the films have come out. As great as it is, though, it will never be higher than fourth place for me as I’ll always love the original trilogy the most. But it’s a very close fourth place! Far closer than I had thought possible.